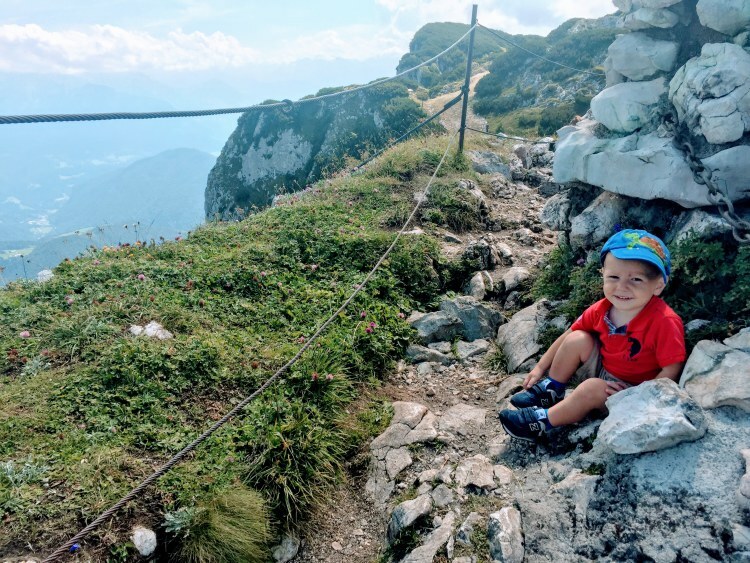 We headed to Salzburg specifically for the Sound of Music tour, but ended up enjoying some of the city’s other offerings including the Salzburg Cable Car. 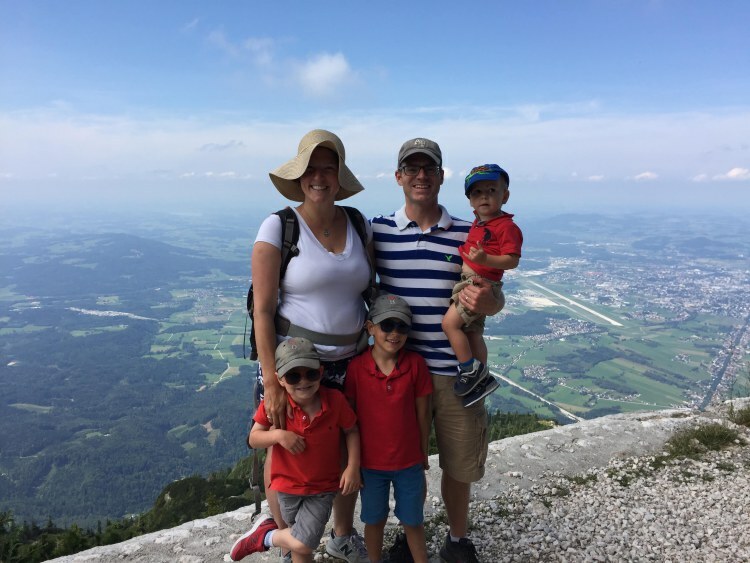 Salzburg’s Untersberg cable car is included with the Salzburg Card, so we opted to take a ride to the top of the mountain for lunch and some lovely views. 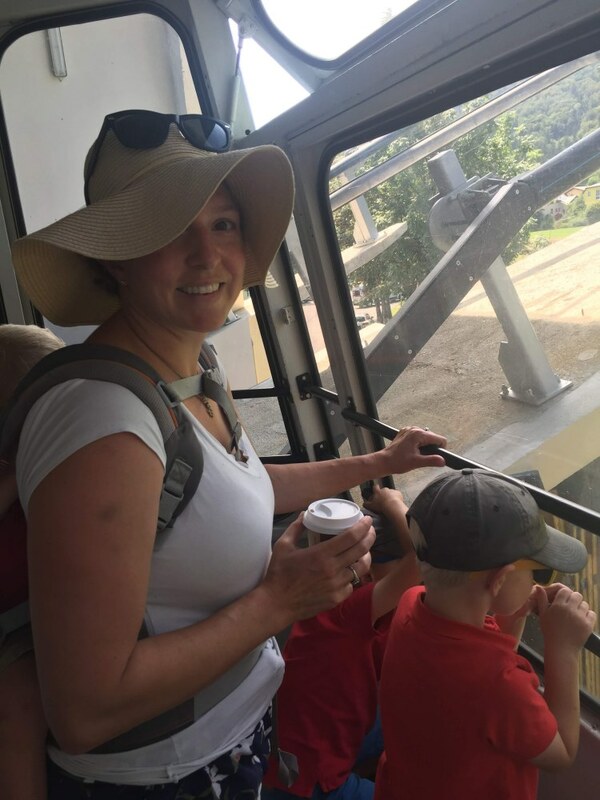 The ride to the top takes about 10 minutes in one of the two gondolas. The kids found seats in the front where they could enjoy the views as we ascended above the city. Panorama boards are posted on the walk to help you make sense of what you are seeing. The city of Salzburg lies beneath you but you can also see into Germany. Several hiking routes start close to the station. There is also a monument to soldiers in the mountain regiments. Our group was tired from an adventuresome morning and needed some lunch. There are several options available, but we opted for the Bergrestaurant Hochalm where we ordered several regional specialties off a large sign board to share. Taking full advantage of our shady seats we opted to do a little school work with a view. 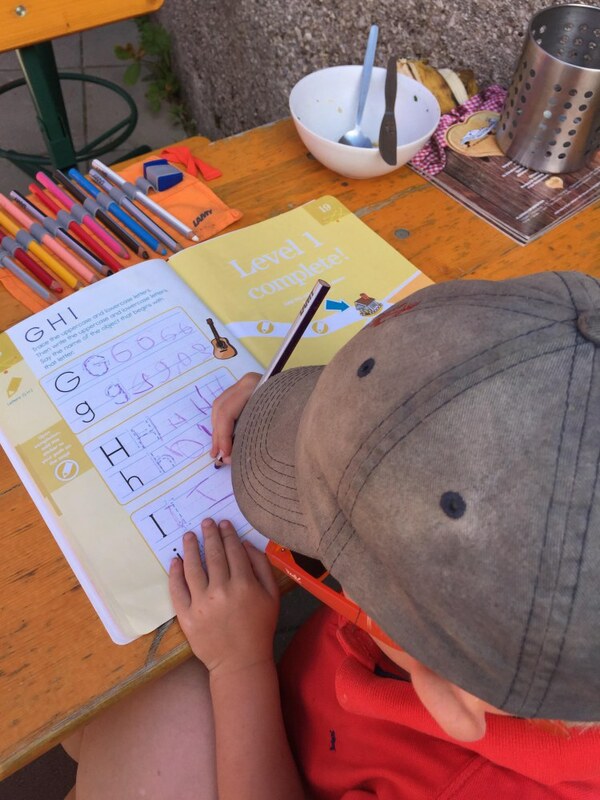 The boys pulled out their Brain Quest Summer Workbooks, which we love to travel with and we embarked on some summer education with a view. We spent a little over an hour on the top of the mountain. You could spend more time exploring more of the paths, but we were ready to head into Salzburg and see more of the city. 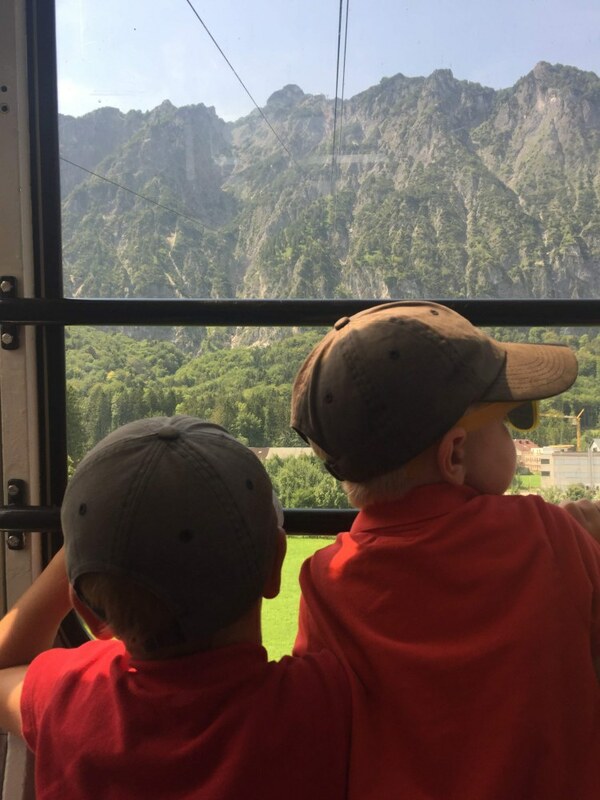 The boys crowded the window of the gondola again to enjoy the ride back down. 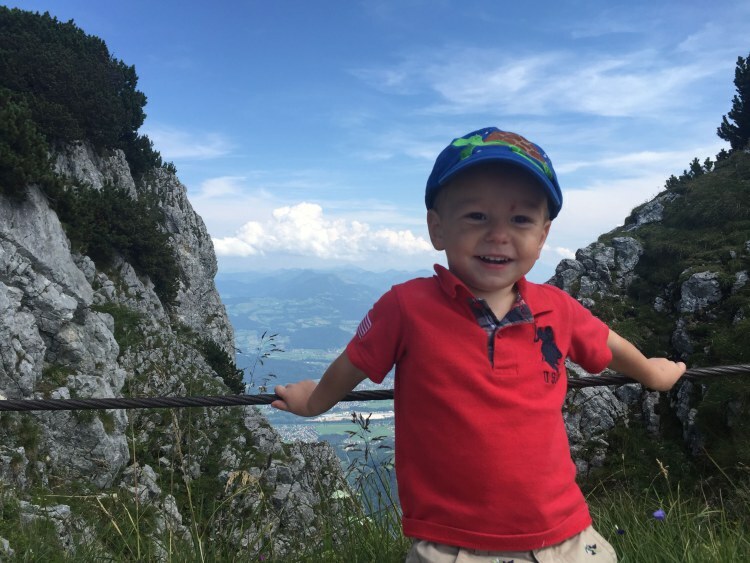 The Salzburg Cable Car is a must if you are traveling with the Salzburg Card. Otherwise, it may only be worth it if you plan to do some hiking while up on the mountain. This post contains affiliate links. Purchasing a product through one of our links helps support Dutch, Dutch, Goose! at no cost to you. Additionally, I was given a Salzburg Card in exchange for an honest review of the service. All opinions are my own.